In the past 20 years, American portion sizes have increased sharply. According to an article in the Washington Post, people are consuming up to 30% more calories per meal. Even the plates we eat off of have gotten 30% larger! This is a real problem because humans are hardwired to overeat. Up until very recently in our evolutionary history, food was scarce, so we ate everything in sight in order to survive. Now that food and calories are so easy to come by, our biological tendency to clean our plates is making us heavier than ever, increasing our risk for heart disease, obesity, diabetes and cancer. When we take in more calories than our bodies can use up, it turns to fat and excess weight. 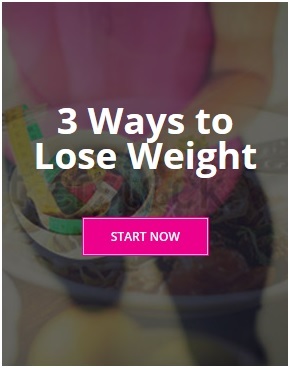 The quickest way to lose weight is to take in fewer calories. Unfortunately, most of us have been conditioned to eat portions that are far larger than average-sized humans require. Our bodies simply cannot process all those calories at once. But we scarf them down because we have been trained to clean our plates. We’ve become trained to expect large servings. Use smaller plates, forks and spoons. Researchers at Cornell University found that we tend to adjust our appetites to the size of our dinnerware. The studies show that switching from standard 12-inch plates to 8 or 10-inch plates can reduce calorie consumption by 22%, but offers the same feelings of satisfaction from food. Join the Small Plate Movement. It’s a combined effort by academia, government, media and industry to help American families lose weight and live healthier by reducing the size of their dinnerware. Their website has great info and some truly funny content. Check it at Small Plate Movement.